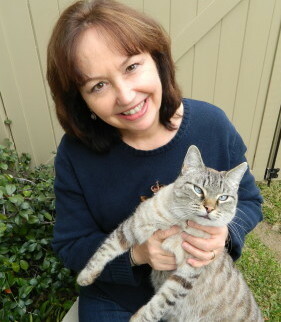 Award-winning author Alina K. Field earned a Bachelor of Arts Degree in English and German literature, but she found her true passion in reading and writing romance. Though her roots are in the Midwest, after six very, very, very cold years in Chicago, she moved to Southern California and hasn’t looked back. She shares a midcentury home with her husband and a blue-eyed cat who conned his way in for dinner one day and decided the food was too good to leave.